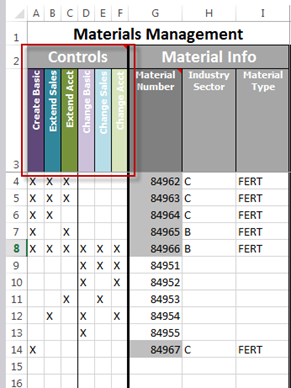 Mass maintenance of materials in SAP via Excel is a very common use case for Winshuttle customers. Thousands of people worldwide are using Excel templates and Winshuttle scripts to save thousands of hours completing manual data maintenance. In the past, customers usually have created their own templates and scripts for materials management. 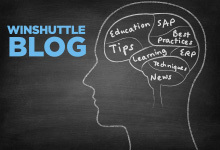 We’re pleased to announce we have launched a downloadable, free standard Winshuttle solution customers can adapt to their own. 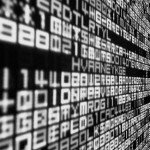 This solution will link together multiple scripts that handle many different updates, from creating basic details to extending to plants and sales organizations. All the various views of an SAP material are incorporated in this chain of linked scripts, and the same solution can be used for both creating new materials and modifying existing ones. The solution is smart enough to determine which scripts to execute based on simple selections by the user in the Excel template. By design, the solution is very versatile. The idea is to enable a wide range of mass updates with the same template. When you roll out a versatile and flexible solution like this one, you can gain significant long-–term advantages by not having to build and maintain many different solutions for specific purposes. Download the free sample solution here and learn how to create your own templates and scripts for materials management. As Vice President of Product & Solutions, Kristian is responsible for product management, enterprise solutions, and product marketing. 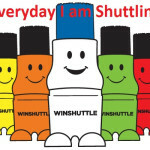 He is instrumental in driving the strategic direction of the company and continuously elevating the value that Winshuttle’s software platform and methodology bring to customers. Prior to joining Winshuttle in 2010, Kristian was widely respected as one of the pioneering thought leaders in bridging the gap between SAP and Microsoft technologies. Since starting his career in Denmark, Kristian has gained experience with enterprise software solutions in a broad range of industries in Europe, Australia, and North America. He has held various roles across Engineering, Professional Services, Sales, and Marketing.